in praise by the poets. The poets hail cuckoo, skylark, nightingale. icon of love and innocence. and dine from the same plate? and find His beauty in all forms? its heat is the same. the sky, pure and clear? and thus save the planet. Dr. K. V. Dominic, English poet, critic, editor and short story writer is a retired professor of the PG & Research Department of English, Newman College, Thodupuzha, Kerala, India. 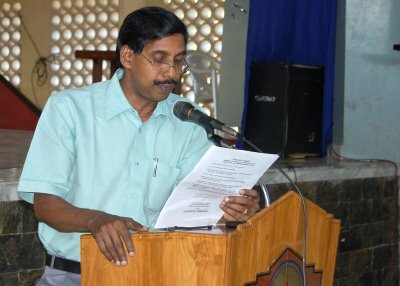 He serves as Secretary of the Guild of Indian English Writers, Editors and Critics (GIEWEC), Chief Editor of the refereed biannual, International Journal on Multicultural Literature (IJML) and editor of the Guild’s refereed biannual journal, Writers Editors Critics (WEC) and the editor of New Fiction Journal (NFJ).